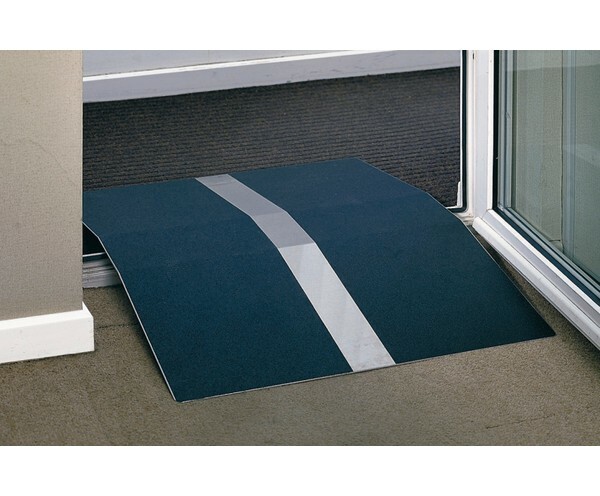 A one piece lightweight doorframe ramp providing wheelchair users with a convenient solution for door thresholds. Light to carry and can be easily stored when not in use. Made from aluminium with a durable slipresistant track for grip and safety. A one piece lightweight doorframe ramp providing wheelchair users with a convenient solution for door thresholds. Light to carry and can be easily stored when not in use. Made from aluminium with a durable slipresistant track for grip and safety.